With the Arabian Sea to the north and south, and swimming pools dotted throughout the resort, water is at the heart of Sofitel The Palm. You are in the perfect place for spending a fun and relaxing day under the Dubai sun. 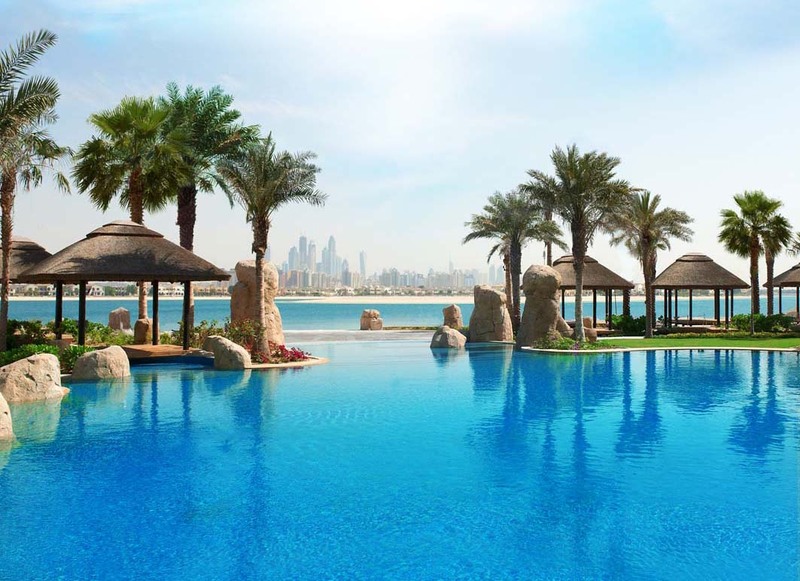 Regarded as one of the best private beaches on Palm Jumeirah, our 500 meters of pure white sand and pristine waters is the place to be for sun and fun. Relax under a shady beach umbrella. 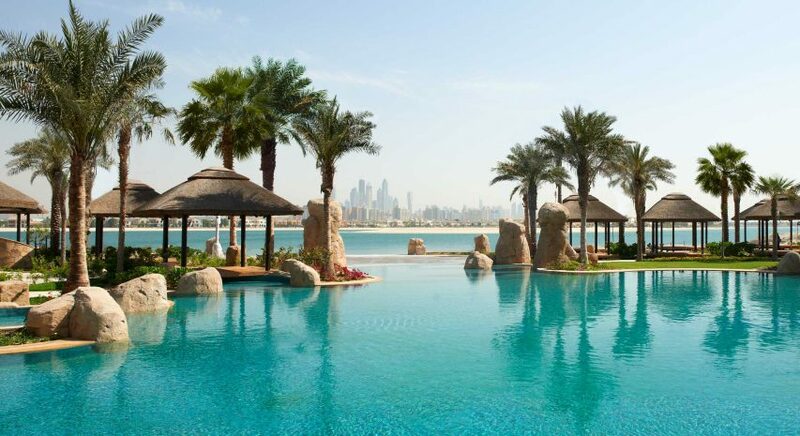 Admire the Arabian Gulf and the distant skyline of Dubai. Order a refreshing drink and freshly prepared snacks from Maui beach restaurant without ever leaving your chaise lounge. At one end of the beach is our private jetty, the departure point for sea cruises and motorized water sports. At the other end is the outdoor activity zone, where you can go kayaking, paddle-boarding and snorkeling. Play beach volleyball or Eco Golf, and take an aqua fitness class. Do everything – or nothing at all, except soak in the exclusive ambiance of this tropical paradise. With six outdoor pools, each kept at an average temperature of 29°C (84°F), you could experience a different swimming spot each day of a week-long stay. Our main pool faces the beach and seems to blend into the sea. Palm trees, colorful bougainvillea and other lush greenery surround the sundecks, adding to the oasis feel. Several pools feature slides and waterfalls, and there’s a fun water area just for kids. For your safety, lifeguards are on duty whenever the pools are open. Reserve your own cocoon of paradise. Our shady cabanas face the pool or the beach offering unparalleled comfort and style. This shelter is yours for the entire day, so settle in for hours of relaxation while your personal attendant brings you a fresh fruit platter and other amenities that are inclusive with each cabana. This is the perfect spot for unwinding and enjoying the resort as a couple. Get ready for chills, spills and unlimited thrills at Palm Jumeirah’s first floating bounce park. Located just off the east end of the resort’s beach, this inflatable obstacle course features an assortment of slides, towers, bridges, cliffs, monkey bars and even a trampoline. It’s good, clean, wet fun for the entire family. All resort guests have unlimited access to the resort’s beach and pools. Dubai residents who purchase a monthly, semiannual or annual Teora membership are also welcome to use these facilities. For a day pass, check out our Beach & Dine offer, which includes beach and pool access plus a food & beverage voucher for any of our restaurants and bars.